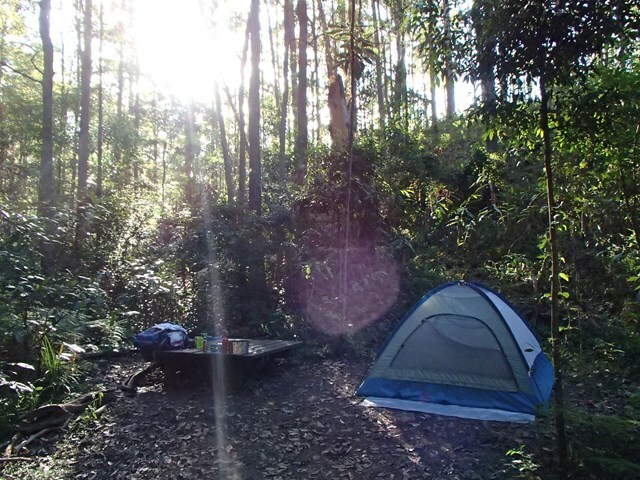 Ancient rainforest, cascading waterfalls, crystal clear creeks, tall open forest, and expansive views. 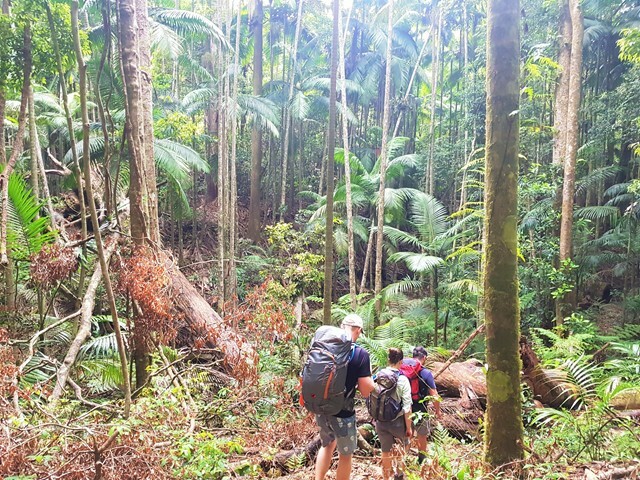 The Conondale Range Great Walk is located within the Conondale National Park, an hour’s drive north-west of the Sunshine Coast and a two-hour drive from Brisbane. Access roads within the park are gravel and include several creek crossings that require a high-clearance four-wheel-drive vehicle. Topographic map pdf is available HERE. The major track entrance facility is located at the Booloumba Creek day-use area where the Great Walk starts and finishes. Essential orientation, safety and minimal impact information is provided at this point, as well as information on the area’s natural and cultural values. 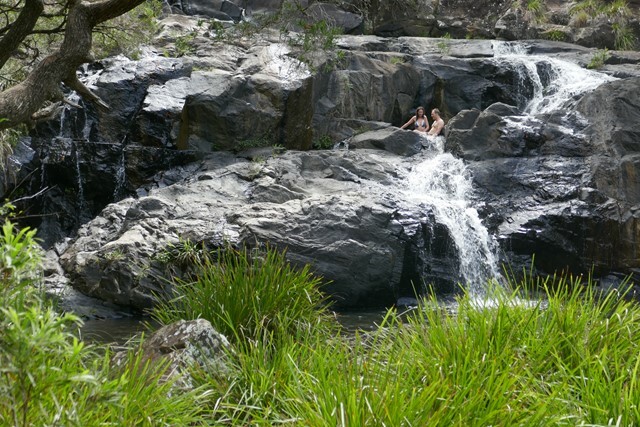 This area provides low-key, vehicle-based camping nearby and day-use facilities beside the creek including toilets and barbecues and a number of short-walk opportunities. 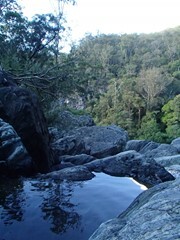 The first section leads from Booloumba Creek day-use area along the banks of Booloumba Creek, via rock cascades and pools to the iconic Booloumba Falls Lookout. The Great Walk continues on to the Wongai walkers’ camp. The second leg climbs steadily, beside trickling streams and forested ridges to Mount Langley, the highest point of the Mary and Brisbane River catchments. 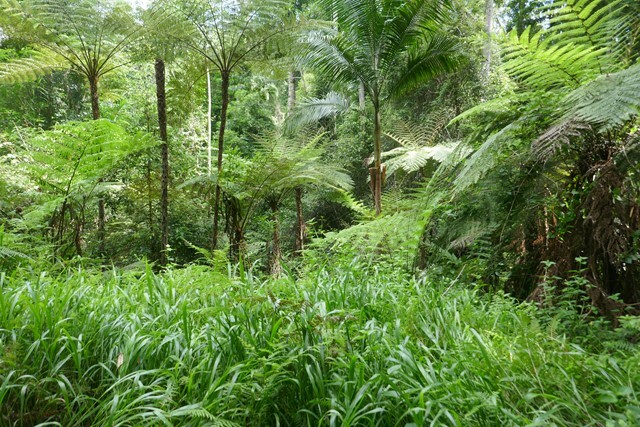 The track continues through rainforest in the high country to the Tallowwood walkers’ camp in the headwaters of Peters Creek. 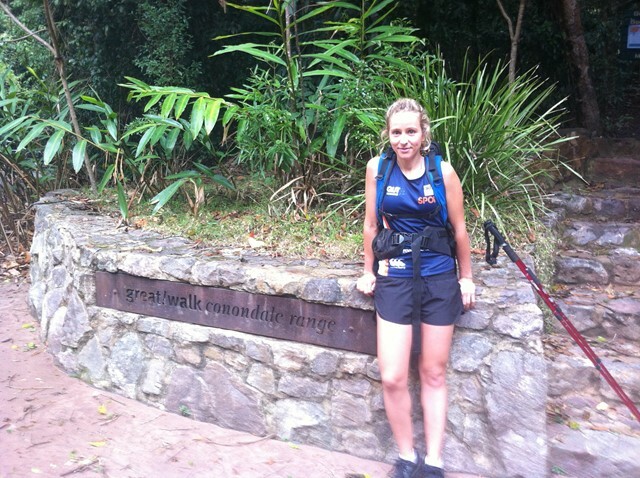 Along the way walkers can catch glimpses over the Conondale Range to the distant coastline. 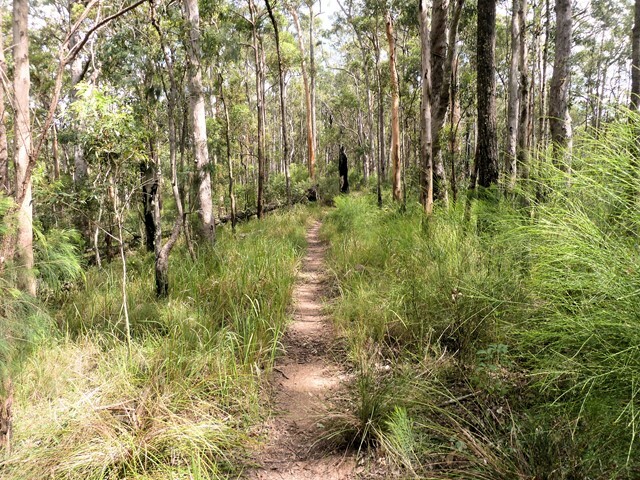 The third leg of the Great Walk winds through rainforest in the Peters Creek catchment area before crossing Sunday Creek Road and descending through more open forest along Summer Creek. Aptly named, Summer Falls walkers’ camp is located in an area that provides an easy access point to the dramatic Summer Falls. The final leg continues through the northern open forest country, ascending Mount Allan. Walkers are able to climb the Mount Allan fire tower for extensive 360 degree views over the Conondale Range and beyond. This provides a unique opportunity to visually retrace the Great Walk route and place the walking experience into perspective within the broader landscape. The old fire tower is a legacy of the forestry era and culturally significant (currently closed for access). The 5.5km (oneway) section of completed track linking Booloumba day-use area with Mt Allan is open to walkers. Camping fees according to the current rates for camping in QLD national parks (3 nights). Official page of the walk is accessible HERE. I have the opposite view of other commenters in that the wetter first 2/3 of the walk is my favorite part, I find these parts of the forest absolutely stunning. The advantage with the Summer falls camp area is that it is next to water where as the previous two sites are not but there are some beautiful spots on the water along the way to enjoy on those days. 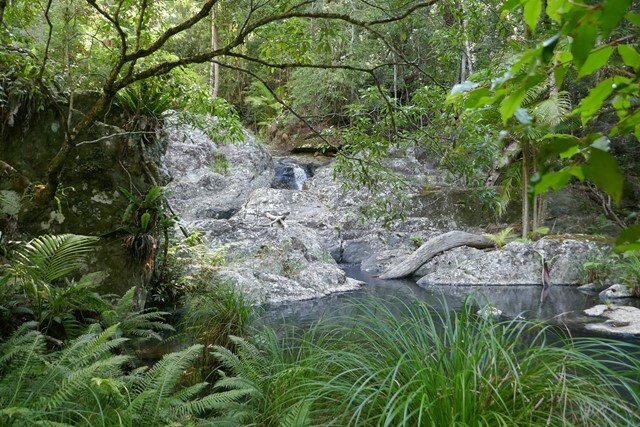 Quite a few day walkers use the first two thirds of the first day, visiting Artist Cascades and/or Booloumba Falls but then the trails are very quiet after that. This does come with there being lots of trees across the trail, but the remoteness of the forest is part of the charm. We used mosquito repellant spray to repel and when needed remove leeches and that worked well. I was quite surprised to find drop toilets stocked with plenty of toilet paper at each of the remote camp sites. The is plenty of water in tanks at each site but having a treatment method would definitely be recommended, the water at the second site is a bit discoloured by leaf-litter in the collection gutter. 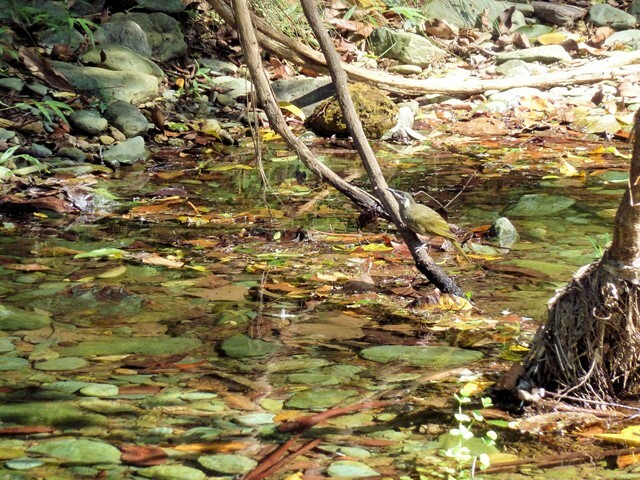 There are quite a few creek locations where very clean water can be collected and treated too; these are obvious on the map. Great Walk. We did this walk in three days. The scenery was awesome and even found lots of raspberries between Walkers Camp 2 and 3. 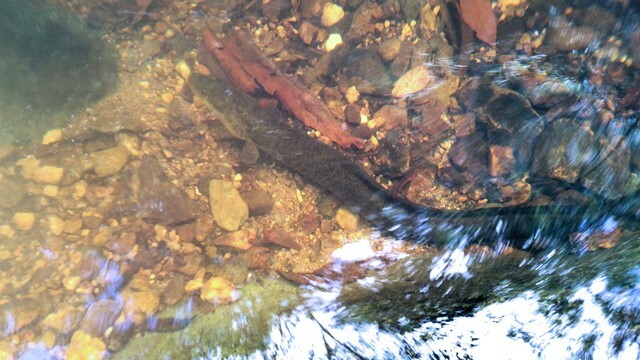 There were a few ticks and leeches around! This was a great walk. Do the track in the CW direction (as recommended). The track gets better as it goes on. Be prepared for the camp cites some are a bit small - even for a 2 person hiking tent. WELL ! ! great walk ! heaps of Fauna -- now to the nitty gritty ! ! who surveys the track ? Found distances to differ HUGE .. Topo and ALL Web advises the following -- S1 11K -- S2 17K - S3 15.2 K - S4 12 K -- after DR and GPS (x2) checks -- found "anomalies" -- Actual Distances -- confirmed via re-calibrated / tested Garmin 64 on GPS + GLONASS -- S1 17.9 KLM -- S2 21.9 KLM -- S3 22 KLM --- S4 13.8 KLM EQUALS 75 KLM -- an extra 19 KLMs --- Pretty bad -- our leisure hike turned into a second half sprint to make camp ON THREE OCCASIONS -- anyone else had issues with distances for other great walks. Concerns me greatly about accuracy of other "Great Walk" distances. went into this not knowing what to expect and fell in love with the last camp sight (summerfalls) would highly recomend doing it just to hit summer falls and spend a day or two there. you can do it backwards or even take the short cut from the road and skip mt allen, but i think its worth doing it propperly the first time, makes it worthwhile and i think i apprehate it more because of the effort required. Great walk. Good campsites. Great challenge. 17-20 April 2014. Beware: lots of leeches during day 1 and 2 after the wet weather (by lots I mean one every 10x10cm patch in places). During our hike the track felt poorly maintained - trees across the trail, had to wander off the trail several times to find it. Summer Falls campsite (day 3 night) makes up for it: very nice cliffs, beautiful falls with dipping/swimming holes, dry ground (without leeches! ), open forest. Overall feeling: won't do the walk again unless after a month of no rain; Summer Falls site is the next long weekend destination (accessible from the 2WD road crossing the 4th day trail section about 4k from the Summer Falls campground). Lots of leeches. Almost got lost because there are so many forks with all the fire trails. Quite flat. The final segment is the most scenic by far, and the final campsite is the nicest by far. 23-25 Oct Really nice little walk. I didn't have 4wd so parked at Charlie Moreland and walked in via the fire trail. That meant around 23k first day to Wongai camp. 2nd night @ tallowood was lovely. Bit of light rain. At Summer Falls by 10am next day so continued through and back to Charlie Moreland by 2.30pm. After reading other walker comments, strongly recommend reading national parks blurbs re best times to walk...to avoid disappointment. October was a great time to walk, but I'd say anytime other than the wet season would be good. I'm taking my 10 yr old next weekend for her first multi-day hike. Imagine we'll take the 4 days this time, staying all three campsites. P.s. Don't walk in from Charlie Moreland unless you have to. Steep, boring, cleared land, cows. If you do, start real early/return late to avoid the sun. This will report the image to moderators for review. Are you sure this image is offensive? 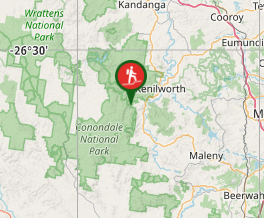 Aussie Bushwalking users can maintain a wishlist of walks for you but you need to be a member. Click here to login if you're already a member, otherwise go here to register for your free account. 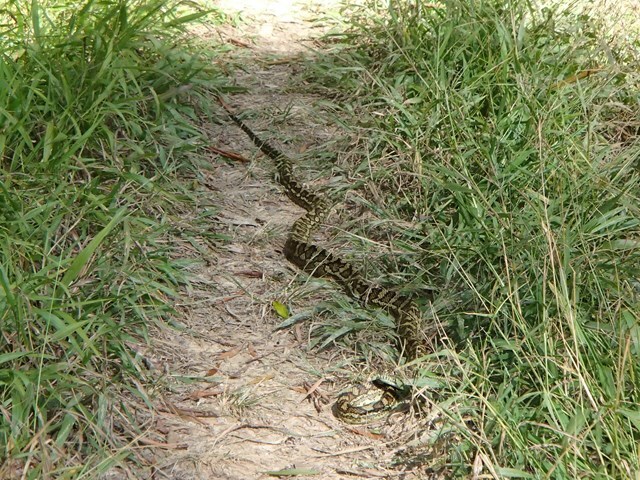 Navigation to some bushwalks can be difficult. Automated navigation using Google Maps or Apple Maps may not be accurate. 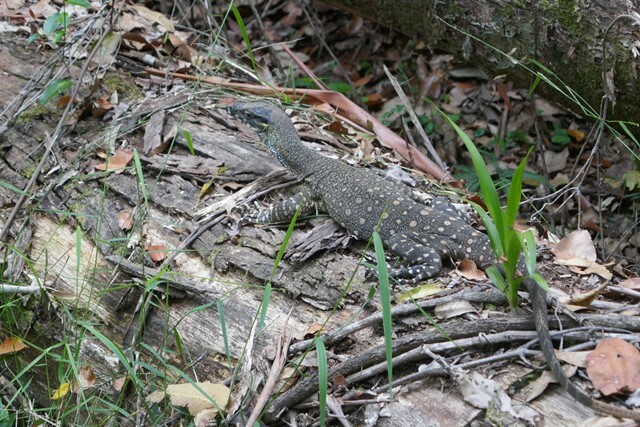 Additionally, Aussie Bushwalking doesn't always have accurate positions for where to park for a walk. Please read the walk description for special directions and take extra care. These values are provided by users. Your evaluation may differ. 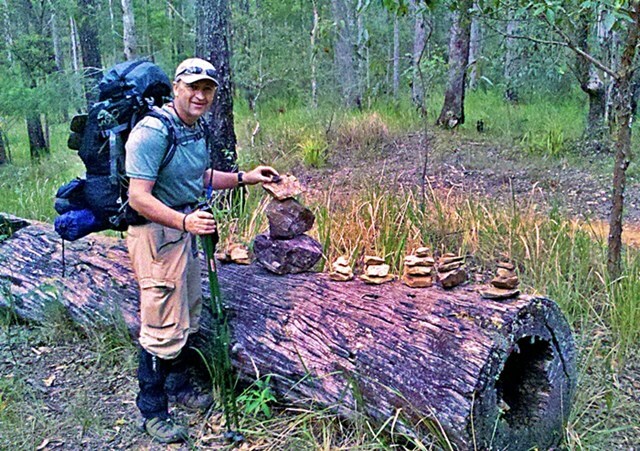 Aussie Bushwalking can keep track of your bushwalks. Login/signup to tick this walk off. Tick walks to keep track of where you've been. You must Login to tick walks. Accounts are 100% free so sign up if you don't have one.